The Office of Research, Development, and Technology and the Turner-Fairbank Highway Research Center (TFHRC) at the Federal Highway Administration (FHWA) play a vital leadership role in developing and implementing a coordinated highway research and technology (R&T) agenda within the United States. The FHWA accomplishes this objective and helps address future demands and needs in the highway sector by working with its partners in the public and private sectors, academia, industry, and in the international community. 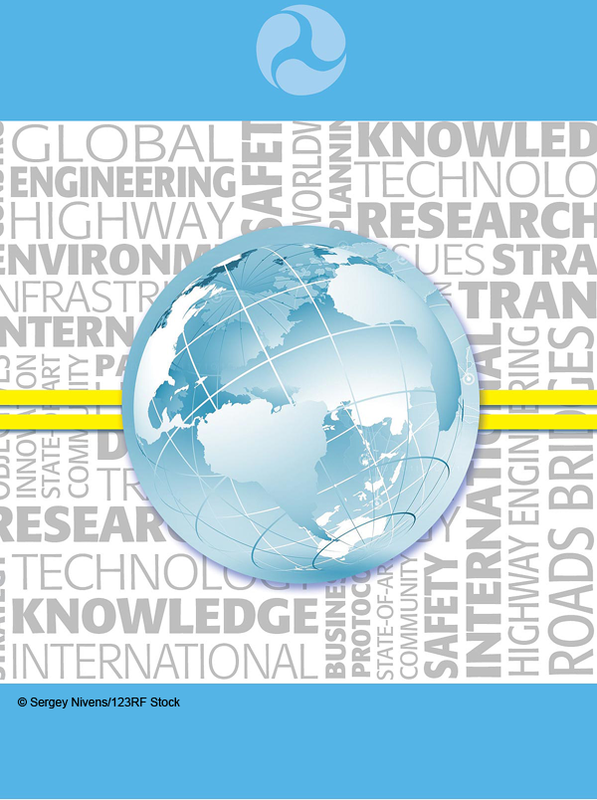 FHWA focuses its international research activities on a variety of partnerships and interactions to access information on state-of-the-art technologies and practices used worldwide, as well as to transfer technologies and innovations developed in the United States to a growing world market. These technical exchanges and partnerships between domestic and international counterparts, participation in international organizations, and the establishment of business protocols are extremely beneficial and highly justified in a constrained economic environment. Although challenging to accomplish given the time and resources required to build international partnerships, the activities garnered from the partnerships help leverage and maximize the value of U.S. financial and technical resources worldwide. FEHRL United States Study Tour: Since 2010, FEHRL has been organizing study tours of the United States. Each tour has been developed in cooperation with FHWA’s TFHRC, which represents the United States in FEHRL. The tours are intended to encourage the exchange of knowledge and the building of partnerships between organizations in the United States and participating members of FEHRL. Previous tours have included teams from Europe, Israel, South Africa, Australia, and the United States. These teams also have included experts from FEHRL institutes, as well as road directorate experts from the Conference of European Road Directors (CEDR), the European counterpart to the American Association of State Highway and Transportation Officials. As covered in the 2013 tour report, “FEHRL–United States Scanning Tour 2013: Advanced and Innovative Construction and Maintenance,” six technologies or innovations used in the United States, as well as the entire Every Day Counts initiative, were identified as promising endeavors and highlighted for consideration in Europe. MIRIAM: The Models for rolling resistance in Road Infrastructure Asset Management (MIRIAM) Systems is an example of work underway in Europe that is beneficial to the United States. During the second phase of this work, the cooperative agreement enabled the first TFHRC-FEHRL jointly funded collaborative activity. The objective of the project is to provide a sustainable and environmentally friendly road infrastructure by developing an integrated methodology for improved control of road transport carbon dioxide emissions. This work will be leveraged and brought to the United States with nominal FHWA funding, achieving greater value for the research investment. INFRAVATION: A cross-Atlantic consortia will evaluate and prioritize work under the estimated $17 million INFRAVATION research program. Designed to move breakthroughs from the laboratory into the field, INFRAVATION is the integration of infrastructure enhancements plus innovation. The TFHRC codeveloped and is providing funding for this set of initiatives; therefore, academic institutions and businesses in the United States, along with individual State transportation departments, are eligible and encouraged to participate in and compete for the research work. SHRP2: Members of FEHRL have the opportunity to partner with FHWA to transfer knowledge findings from the Strategic Highway Research Program 2 (SHRP2) for consideration in European innovation initiatives. Members of CEDR may be particularly interested in these products currently available for highway improvements. In October 2009, FHWA became an Associate of the Forum of European National Highway Research Laboratories (FEHRL), an organization that brings together more than 30 national research and technical centers in Europe, along with associated institutes worldwide. The FEHRL and its member organizations are engaged in a range of road engineering research topics, which include safety, infrastructure, operations, environmental issues, and economic evaluation. In July 2011, FHWA and FEHRL signed a Memorandum of Cooperation (MoC) that formed the foundation for an organizational and financial partnership. The MoC and ensuing agreements establish a business protocol for collaborating on and jointly funding priority research topics. The intent of the new partnership is to speed the development and implementation of innovations and highway technologies, while expanding markets for all engaged. The relationship will enable technologies first identified in Europe to be brought to the United States more quickly while also expanding markets for technologies developed by organizations in the United States. Collaboration on solutions to problems of mutual concern is a cost-effective means to improve transportation systems; collaboration capitalizes on shared resources and knowledge to ensure successful and sustainable partnerships with limited resources. Considering domestic and international cooperation levels, TFHRC partnerships play a critical role in developing, deploying, and implementing transportation innovations. These collaborative activities with the public and private sectors, academia, and the international community aim to minimize duplication and make the most of the individual strengths of each organization. In many cases, the array of partnerships act as a conduit, bringing the global R&T community together to define priorities and future directions while leveraging distinct strengths within the international arena. 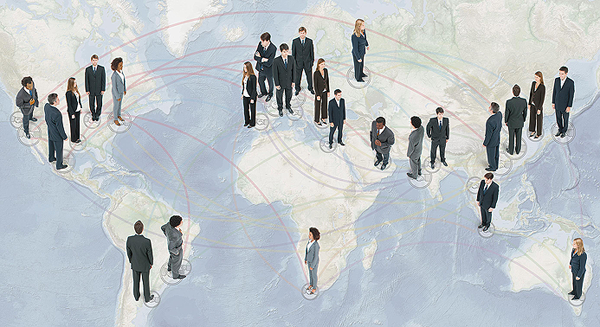 Collaboration allows TFHRC to realize a future comprehensive innovation program of global reach. The U.S. Government does not endorse products or manufacturers. Trademarks or manufacturers’ names appear in this publication only because they are considered essential to the objective of the document. They are included for informational purposes only and are not intended to reflect a preference, approval, or endorsement of any one product or entity.